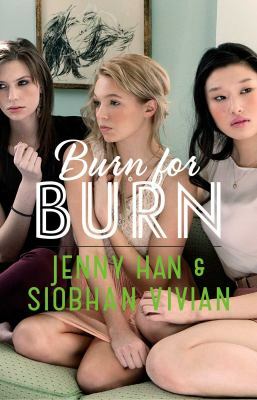 Burn for Burn, Fire with Fire, and Ashes to Ashes, is a trilogy by Jenny Han. This series is about a fascinating turn of events that leave the readers feeling haunted inside. In Burn for Burn there are three main characters: Kat, Lillia, and Mary. Kat and Lillia had a history of friendship with Rennie until one fine day, Rennie backstabbed (not literally!) Kat, causing their friendship to fall apart. 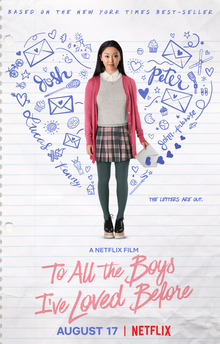 Lillia is the “it” girl, best friends with Rennie, on the cheerleading team, and right in the middle of the popular group at their high school. Mary is traumatized from an event that occurred years ago in her childhood, for the very reason she has come back to Jar Island is for revenge. All three of the girls meet each other at the right place at the right time, and cook up a pot full for homecoming night, an event that shakes all and changes the lives of few. In Fire with Fire, the girls serve time for their actions, causing them to regret the decisions they made months ago. Homecoming night hurt a lot of people, but it also critically damaged one of them–coincidentally it was Reeve, who tragically haunted Mary years ago. The girls just wanted to show the rest of the school Reeve’s bad side, but things happened that night that weren’t planned. They’ve gotten away with it for now… but Mary needs to control her anger and it seems like she just can’t. In the last novel of this trilogy, Ashes to Ashes, Lillia, Kat, and Mary lit a fire without even thinking. Their goal was to get even, but now the fire is spreading. In this last book, a huge plot twist comes our way, and I am talking amazingly enormous. Out of all of the books I have read throughout my life, the plot twist that the readers come to find out in the last book of this trilogy is the best most surprising twist I have ever read. I would definitely recommend this series to any girl because it starts out as a normal high school novel, but really turns into something you never expected, and its just really interesting to see how the characters progress throughout the couple of years. Absolutely on the top of my list for my best reads. Jenny Han’s trilogy and her other works are available for check out from the Mission Viejo Public Library, Overdrive, and Axis360.